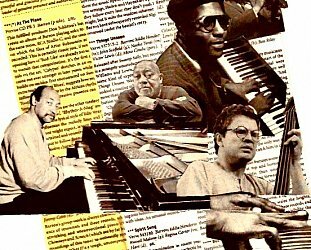 It is interesting – and perhaps disappointingly instructive – to note that the two jazz album this year which have gained the widest attention have been of music from over 40 years ago by artists who have been dead for decades. Yet neither the John Coltrane album Both Directions at Once: The Lost Album of previously unheard recordings from '63 – not originally conceived of an “album”, just a day of studio sessions – and the Charles Mingus radio recordings of live dates as Jazz in Detroit from '73 were so revelatory as to change our thinking about those artists. Great to hear and have, but no one was going to rewrite the biographies of the two giants of jazz based on what they could now hear. However they certainly gained attention, especially in the world beyond jazz writers because these two titans were names that were familiar. Few were going to write about obscure or established ECM artists, groups like the (overrated) Sons of Kemet or Kamaal Williams' urban soul-inflections when the high-profile but uneven Kamasi Washington could command their attention . . . and the Coltrane and Mingus releases lent themselves to enthusiastic . 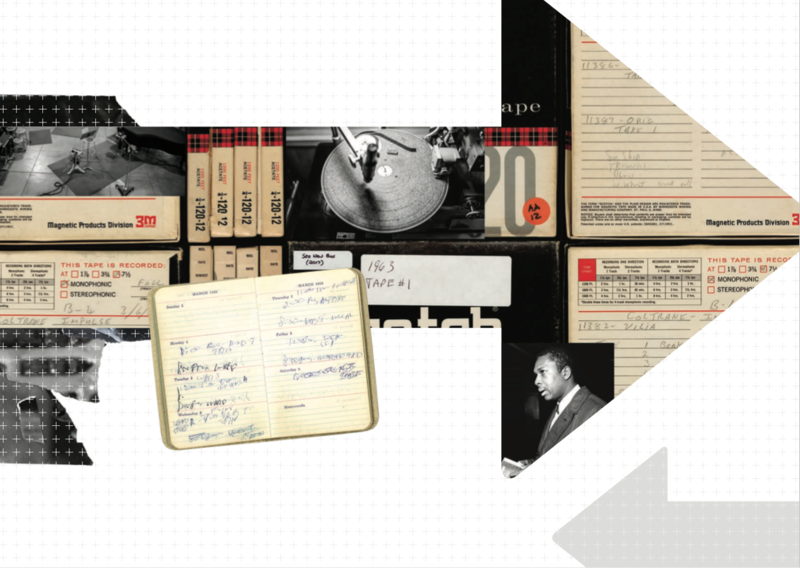 Doubtless the media mileage (and perhaps even sales) gained by the release of Both Directions At Once/The Lost Album has prompted a new collection of Coltrane material from 1963, which was an interesting and pivotal year for him. 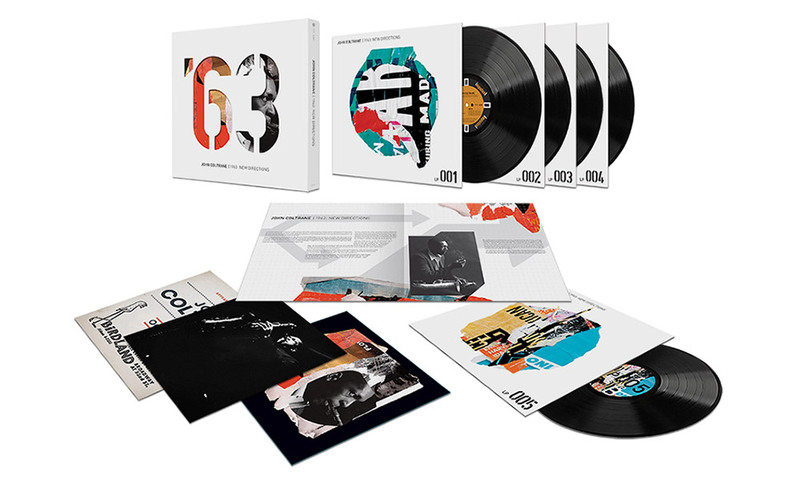 The three CD/five LP set 1963/New Directions puts a spotlight on that time although most serious 'Trane spotters would have everything: it collects the Both Directions sessions in March (albeit in a different running order); the album recorded at Rudy Van Gelder's same studio the following day with crooner Johnny Hartman; the Live at Newport set from July (with drummer Roy Haynes in for Elvin Jones); and sets from New York's Birdland in October and November which appeared as Live at Birdland in '64. These weren't the only recordings made by Coltrane and his group that year, but they are the most significant, not the least because he was on a cusp and leaving behind the bebop interpretations of standards, blues and showtunes (his successful interpretation of My Favourite Things) which had been his solid base and was moving into deeper and more personal ideas, as witnessed by the moving Alabama recorded in November which closes the three CD collection. 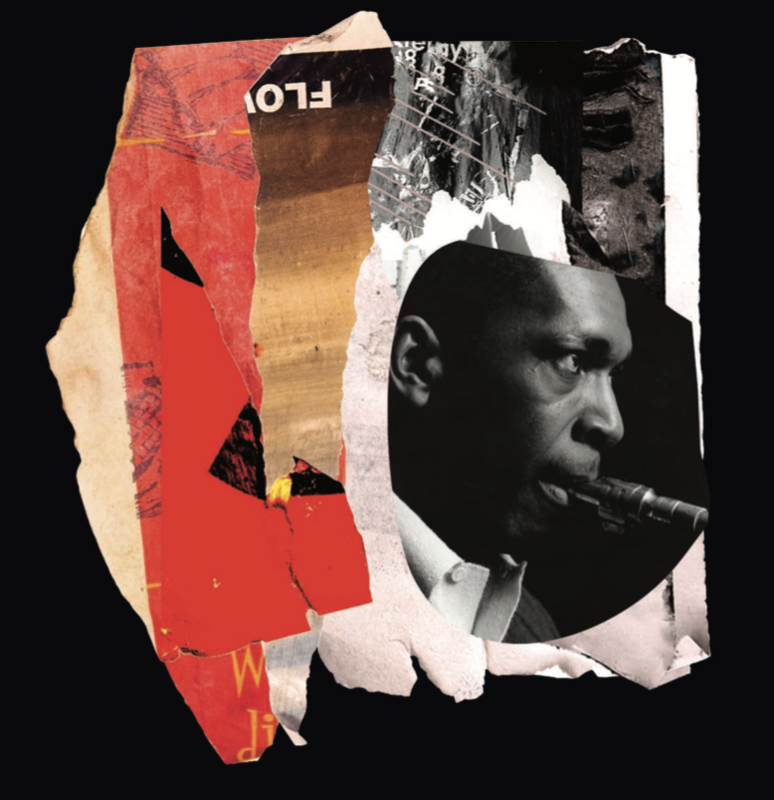 Written after the racial attack on a black church in Birmingham in September where a bomb killed four girls, Coltrane said of it: “It represents, musically, something that I saw down there translated into music from inside me”. Within six months he was back at Van Gelder's studio with his band for the more experimental Crescent album and then at the end of '64 recorded the spiritual and penetrating A Love Supreme which was released in '65. 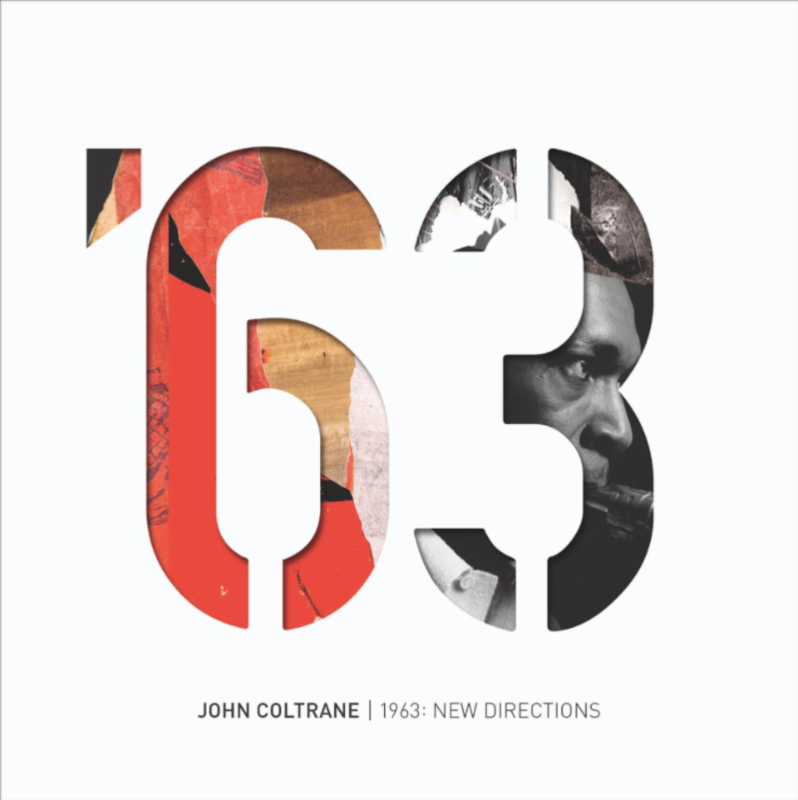 So the year of '63 certainly represents a turning point – or at least the start of an important shift – in the music of John Coltrane. And if the casual listener hasn't bothered with Both Directions, the Hartman, Newport '63 (not released until '93 and which included Chasin' Another 'Trane with Eric Dolphy recorded in '61 for some reason) and Live at Birdland then . . . The six songs from the Hartman album are pleasant but certainly the least of things as Coltrane and his classic band – pianist McCoy Tyner, bassist Jimmy Garrison and drummer Elvin Jones – just lean back into the mellow nightclub mood. 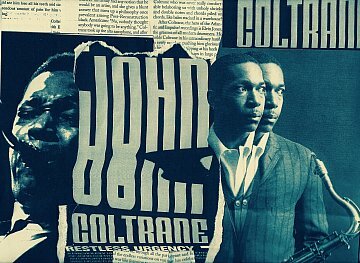 Coltrane never made any claims for the album released simply as John Coltrane and Johnny Hartman but said, even though they'd never recorded together before, that he liked Hartman's sound “so I looked him up and did that album”. In fact it was the Impulse! label's Bob Thiele who seems to have been the prime mover for the session (a loose sequel to the Ballads album of the previous year by the Coltrane quartet). It is undeniably pleasant (Hartman's somewhat woozy laid-back style sliding over the likes of Autumn Serenade) but as Coltrane was moving forward this seemed a place-holder and possible money-earner for Impulse! and the saxophonist. Better would come, as it does with the melancholy original After the Rain, a 10-minute exploration of the traditional ballad Dear Old Stockholm (both with Haynes while Jones who was in hospital for drug treatment). The latter was a tune he'd played with Miles Davis previously but now he takes centrestage and teases it apart, breaks it down and reconstructs over Haynes' sometimes overly assertive patterns. But it is the live material which follows and fills the final disc where we can hear Coltrane moving far from the ballads and genre pieces. At Newport they offered an undoubtedly crowd-pleasing 17 minute-plus take on My Favourite Things and essayed Impressions (his revision of a sliver of Davis' So What, which appears in four takes on the Both Directions set) to almost equal length and depth. Then we are into what was the Live at Birdland album . . . again the running order shuffled so it sensibly ends with Alabama. In his liner notes for this album the poet/jazz writer Amiri Baraka (then LeRoi Jones) wrote that “one of the most baffling things about America is that despite its essentially vile profile, so much beauty continues to exist here . . . if it is a master we are listening to [in a nightclub], we are very likely to be moved beyond the pettiness and stupidity of our beautiful enemies. John Coltrane can do this for us. He has done it so many times, and his music is one of the reasons suicide seems to boring”. 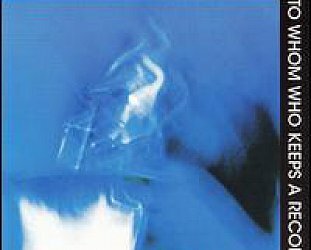 Coltrane's take on Afro-Blue (his re-invention of the Mongo Santamaria theme) is thrilling and driven by Jones' thrashing rhythmic inventions to a breathtaking peak in the final minutes of its 11-minute exploration. But everything leads to Alabama (two separate and incomplete studio takes put together) which seems soaked in sadness and almost defeat when Coltrane plays its slow melody out. But then Jones – coming in after Tyner's spare but confident chords – starts to nudge everyone into life and assertion and a sense that, in the latter take, a weary acceptance is paves the way for hope. This '63/New Directions selection only hints at what was to come and perhaps it is only hindsight which allows us to hear those changing elements with a little more clarity. Certainly if the Hartman album hadn't been included then the case would be more persuasive. But what we do know is what happened the following year and there would be no turning back. In fact in '64 and after Coltrane headed off into harder and sometimes quite unforgiving territory, not taking his audience with him. His was increasingly a singular journey, but a short and productive one. Just three and a half years after Alabama at Birdland – and eight more albums for the Impulse! Label – John Coltrane was dead at age 40. John Coltrane's '63/New Directions (Impulse!) 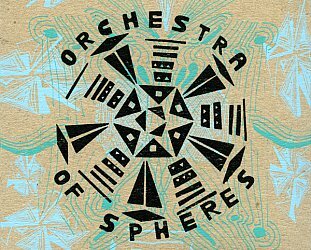 is available either in a five LP or three CD box set. It is also on Spotify.